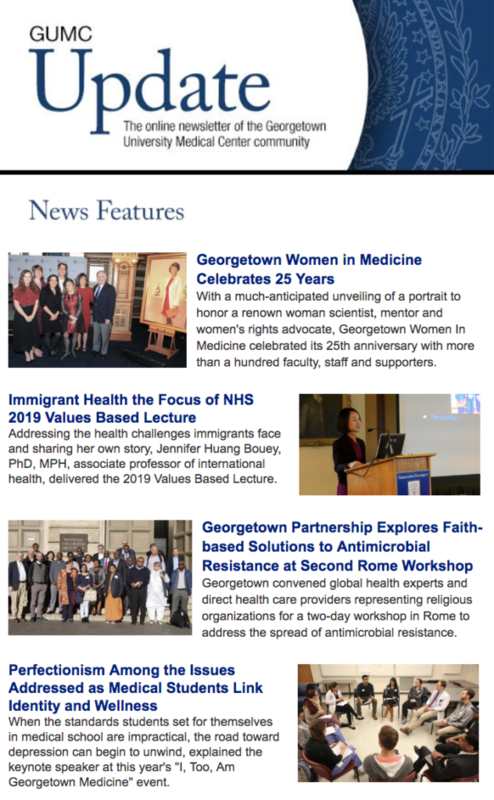 GUMC Update is a biweekly online newsletter highlighting recent events, news stories and more from the Georgetown University Medical Center community. 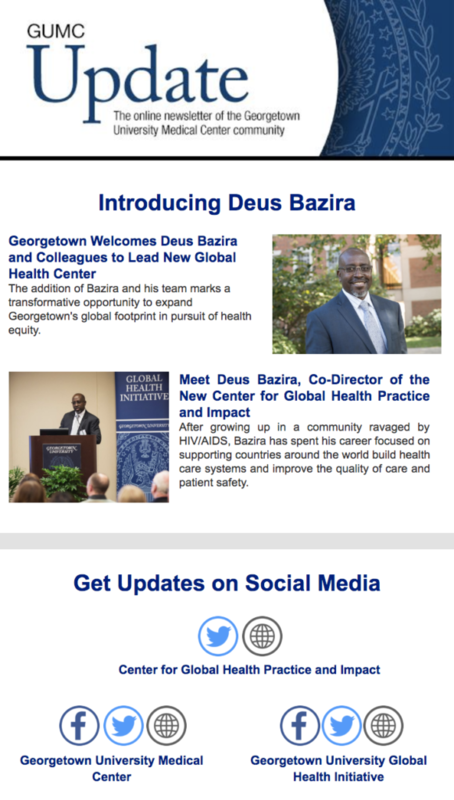 – The addition of Deus Bazira and his team marks a transformative opportunity to expand Georgetown’s global footprint in pursuit of health equity. – After growing up in a community ravaged by HIV/AIDS, Deus Bazira has spent his career focused on supporting countries around the world build health care systems and improve the quality of care and patient safety. – Georgetown Women In Medicine (GWIM) celebrated its 25th anniversary with more than a hundred faculty, staff and supporters. – Jennifer Huang Bouey, PhD, MPH, associate professor of international health, delivered the 2019 Values Based Lecture on the health challenges immigrants face. – Georgetown convened global health experts and direct health care providers representing religious organizations for a two-day workshop in Rome to address the spread of antimicrobial resistance. 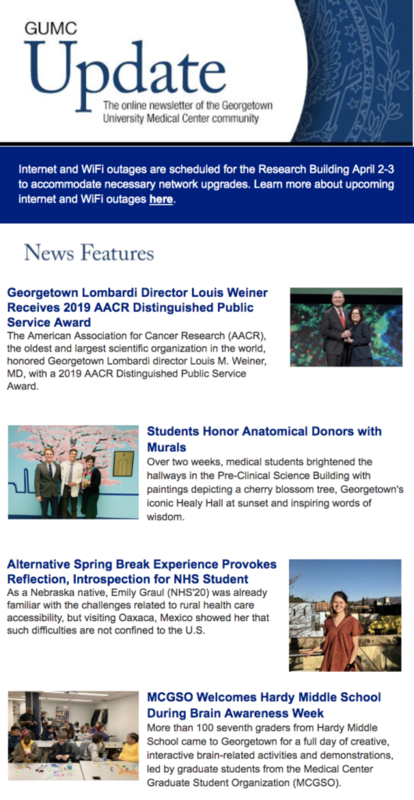 – Georgetown Lombardi Director Louis Weiner Has Received a 2019 AACR Distinguished Public Service Award. – Over two weeks, medical students brightened the hallways outside the anatomy lab of the Pre-Clinical Science Building with paintings depicting a cherry blossom tree, Georgetown’s iconic Healy Hall at sunset and inspiring words of wisdom. – An alternative spring break experience to Oaxaca, Mexico provoked both reflection and introspection for this NHS student.